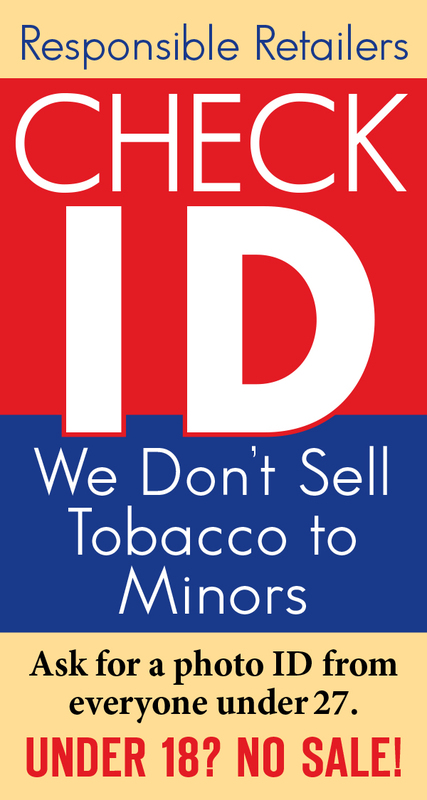 County tobacco retailers are getting a clear message: no sales to minors. 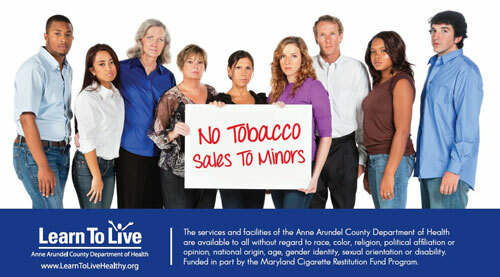 Through stepped up compliance checks, sponsored by the Anne Arundel County Department of Health and conducted by the Annapolis and Anne Arundel County Police Departments and the County Sheriff’s Office, the rate of illegal sales to minors has dropped significantly. The combination of customized education and targeted enforcement has produced outstanding results. Compliance checks involve plainclothes officer observing as a participating minor seeks to purchase a tobacco product or electronic cigarette. In the past 12 months, 468 tobacco compliance checks were conducted. This is an increase of almost 200 percent over the number of checks conducted in fiscal 2015. In the past three years, the percentage of Anne Arundel County tobacco retailers cited for making illegal sales decreased from 21 percent to an all-time low of 10 percent. “This achievement shows that the strategic enforcement and better communication with retailers can greatly reduce tobacco sales to minors and help our young people remain tobacco-free and healthier,” said Acting County Health Officer Frances Phillips, R.N., M.H.A. Selling tobacco products, which includes e-cigarettes, to anyone under 18 is illegal. Store employees who sell tobacco to minors receive citations and store owners can be fined. The Department of Health’s Learn To Live Program offers a free Tobacco Sales Compliance Kit to all County tobacco merchants. The kit, which includes a training card and other educational materials in English and Spanish, helps teach merchants and their employees how not to make sales to minors. Merchants and their employees can order the free Tobacco Sales Compliance Kits from the Department of Health’s Learn To Live Line at 410-222-7979 or download the kits from www.LearnToLiveHealthy.org in the “Tobacco Sales Training” section. The Anne Arundel County Department of Health receives grant funds from the Maryland Department of Health to support these efforts.